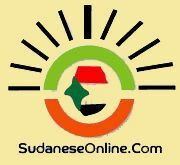 Reformists who recently quit Sudan's ruling National Congress Party (NCP) announced on Tuesday the official registration of their new Movement for Reform Now party. The group initially wanted to register the party as "Reform and Renaissance" but agreed to change the name after objections from some members that another group had already applied to resister under that the same name. "Because another group had the right to the old name and out of our desire not to sow discord and disunity amongst Sudanese political community, we voluntarily gave up the name," group leader and former presidential advisor Dr. Ghazi Salahuddin al-Atabani told Anadolu Agency. He said choosing the alternative name, "Reform Movement Now Party," was important to complete the party's registration application and came after due consultations among members. "The founding conference of the party shall have, at its first meeting after three months from registration, the right to continue with this name or change it if necessary based on a general consultation at the opening session of the party’s general assembly," al-Atabani asserted. Some 31 leading figures of the ruling party had submitted a petition to Sudanese President Omar al-Beshir following mass street protests in September against the lifting of subsidies on hydrocarbon. They asked the president to reconsider the measures and bring to justice those responsible for the killing of peaceful demonstrators. As a result, the NCP's Shura Council suspended the membership of three leading figures of the reformers including Atabani, who was the lead signatory of the petition.